Infused with copper sulfate to effectively manage mild and moderate cases of thrush. Description: Learn how to apply Equi-Pak using an open fill technique. Description: Learn how to apply a half Equi-Pak, half Equi-Build fill using mesh. Description: Learn how to apply Equi-Pak using a step fill technique. 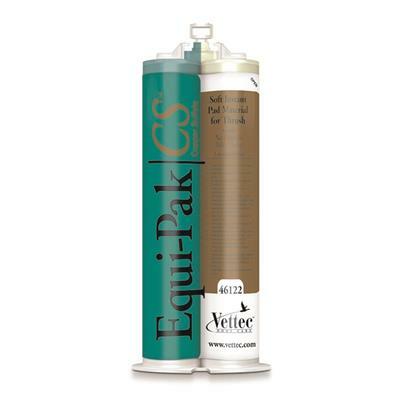 Description: Learn how to apply Equi-Pak under a foam board. Description: Learn how to block out an abscess when using Equi-Pak. Description: Frank Dugan discusses the differences between silicone materials used under hoof pads and Equi-Pak.